Estos son los cuatro pilotos de aviones de guerra MIG que pulverizaron dos avionetas Cessna-337 desarmadas de la ONG Hermanos al Rescate; de izquierda a derecha: Teniente coronel Francisco ‘Paco’ Pérez Pérez (círculo azul), coronel Humberto Trujillo Hernández (círculo verde), teniente coronel Lorenzo Alberto Pérez Pérez (círculo amarillo) y el mayor Emilio Palacios (círculo rojo). Fidel Castro asumió la responsabilidad del derribo de las dos avionetas desarmadas, en una entrevista publicada en la revista Time el 2 de marzo de 1996. Su hermano Raúl -había sido el ministro de las Fuerzas Armadas desde 1959 hasta que en 2006 heredó el poder que Fidel le entregó-, explica cómo él aprobó el derribo de las dos avionetas civiles en una grabación hecha mientras hablaba con periodistas de la estación radial Radio Rebelde el 21 de junio de 1996, en la ciudad de Holguín, ubicada en la zona oriental de Cuba. MIAMI, Florida (CNN) -- A U.S. grand jury indicted two Cuban fighter pilots and their commanding general on murder charges Thursday in the 1996 shootdown of two civilian planes flown by members of a Miami-based Cuban exile group. Four members of Brothers to the Rescue were killed when a Cuban MiG shot down their unarmed single-engine Cessnas over the international waters of the Florida Straits on February 24, 1996, according to the indictment. The group was searching for rafters fleeing Cuba. A third Brothers to the Rescue plane managed to escape. 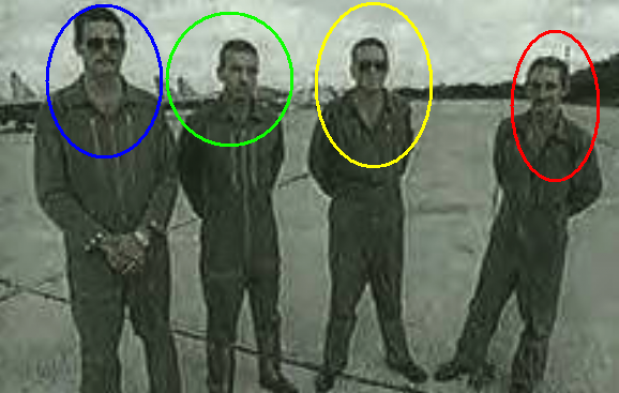 The indictment named Gen. Ruben Martinez Puente -- who headed the Cuban air force at the time -- and the two Cuban MiG pilots, Lorenzo Alberto Perez-Perez and Francisco Perez-Perez. The charges include four counts of murder, two counts of destruction of aircraft and one count of conspiracy to kill U.S. nationals. If convicted, they could face the death penalty. “This indictment is the next step in ensuring that those responsible for the premeditated murder of defenseless U.S. nationals are brought to justice,” said Marcos Daniel Jimenez, the U.S. attorney for the Southern District of Florida. The United States and Cuba do not have diplomatic relations, so extradition of the men would be impossible. Ten Cuban intelligence operatives have been convicted of various counts for their participation in the shootdown. The incident began with a Cuban double agent who provided false information the FBI, according to the indictment. Juan Pablo Roque defected to the United States in 1992 and became a paid informant to the FBI in 1993. He worked closely with Brothers to the Rescue and other exile groups. The indictment alleges Roque told the FBI that Brothers to the Rescue had no plans to fly the weekend of February 24. The day before the shootdown, Roque left the United States for Cuba. He is believed to be still there. According to the indictment, around 3 p.m. on February 24, 1996, the Cuban air force scrambled two MiG fighter jets to intercept the exile planes. The two pilots named in Thursday's indictment were in one of the jets, a MiG-29. Around 3:20 p.m., the two Cuban pilots “demanded that ground control 'authorize' them, but never specified the acts for which they were seeking authorization,” according to the indictment. The indictment said no efforts were made to ask the pilots of the Brothers to the Rescue planes to alter their course. The planes were flying away from Cuba at the time. The indictment says that at 3:21 p.m., the Cuban pilots fired on the first Cessna more than 16 miles from the Cuban coast, killing pilot Carlos Costa, a U.S. citizen, and passenger Pablo Morales, a permanent U.S. resident. Five minutes later, the indictment alleges, Puente “personally authorized” the MiG-29 to destroy the second aircraft. At 3:28 p.m., the pilots shot down the airplane, killing pilot Mario de la Pena and passenger Armando Alejandre, both U.S. citizens. Lt. Col. Perez said Cuba had faced 20 months of provocation from Brothers to the Rescue and that fighters had been ordered to scramble almost daily. In an unprecedented ruling, the families of the victims won a $187 million judgment in December 1997. Four years later, the families of the three U.S. citizens were paid $58 million in compensatory damages -- money that came from frozen U.S. bank accounts belonging to the Cuban government. The fourth victim was not a U.S. citizen and his family was unable to sue Cuba. The relatives of the other victims agreed to give his family $3 million of the money awarded to them. The last time I saw my brother, I handed him a check to help Cuban rafters in detention camps in the Bahamas. Over the rock wall that separated our back yards, he told me about the hardships of the rafters, especially the children. I never saw him alive again. The Cuban government murdered my brother, Armando Alejandre Jr., on Feb. 24, 1996. It also murdered Carlos Costa, Mario de la Peña and Pablo Morales. The four were flying in two small, unarmed civilian planes when, without warning, they were shot down over international waters by Cuban air force MiGs. This was only the second such flight for Armando. At almost 6 feet 8 inches, he was too big to sit comfortably in the Cessna. He had no love of flying and rarely worked with groups, preferring to act on his own. Our family came to the United States from Cuba when Armando was 10. His love for his adopted homeland grew to the point that he was willing to give his life for it. He enlisted in the Marines at age 18 and volunteered and served in Vietnam. At the same time his love for Cuba grew, too. He keenly felt the injustices and sufferings endured by the Cubans on the island. After Vietnam, Armando made a life with his wife and daughter. Gradually, though, preoccupation with the plight of Cuba grew. He started publicly to denounce the abuses of the Castro regime. He physically tried to oust Cuban government sympathizers from the San Carlos Institute in Key West. He protested before the Cuban Interests Section in Washington, D.C., where he climbed over a fence and broke his leg in a fall. He went to Colombia during one of Castro's visits to criticize openly the Cuban government and was arrested and forced to leave the country. 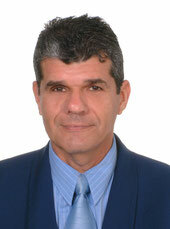 But Armando also gradually changed his views on how to help Cubans on the island achieve basic rights. He turned away from violence and outside intervention, and began advocating for peaceful means and internal solutions. He joined a group for the first time, a Miami-based support group for Cuban dissidents united under Concilio Cubano in Cuba. For his widow, his daughter, his parents, his sisters, for all relatives and friends, Armando's death has left a void impossible to fill. But he also left us a dual mission: Obtain justice for the Feb. 24 murders and speak up in defense of human rights in Cuba and elsewhere. We now have, too, a new extended family formed by Costa, de la Peña, Morales and Alejandre kin. Our efforts are largely spent trying to balance our ``before the shootdown,'' everyday lives, with this new commitment. It is very difficult. The families have been thrust into national and international arenas at which we had no previous experience. We have become hardened to lack of respect and injustice. 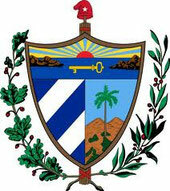 We have heard ourselves identified as ``the Cubans'' by White House staff. We listened as a South American human-rights representative in Geneva offered condolences for the shootdown, and then immediately expressed his elation that Cuba had ``put one over'' on the United States. A senior U. S. Department of State official told us that he had to be cautious ``not to side'' with us, and other U. S. officials have refused to meet with us because we've already seen them ``once.'' A U. S. government list of terrorist acts for 1996 doesn't bother to include the shootdown. Most devastating to us as Americans is to find our own government consistently placing obstacles in our way -- especially the White House and the Department of State. It is also incredible to find that U. S. policy, in the interests of ``diplomacy,'' seems to bend over backward to protect the rights of the Cuban government while ignoring our rights. Who are the victims here? The four dead men, and in turn their families, or U. S.-Cuba relations? There have been some accomplishments. One is that United Nations's Human Rights Commission in Geneva condemned the shootdown. Another is that U. S. District Judge James Lawrence King ruled against Cuba and the Cuban air force, saying that the four men were murdered ``in outrageous contempt for international law and basic human rights.'' He also awarded considerable punitive damages against Cuba and its Air Force in order to ``serve in some small way as deterrent.'' The support of our senators and representatives has also been encouraging. We are still searching for justice, however. We thought the idea simple. Civilized societies abhor murder and punish murderers. But our most important goal, having the Justice Department bring criminal charges against those directly responsible, still eludes us. There is an ongoing criminal investigation, and we are constantly pressing the government for indictments. We understand that these would not be served now; we would be satisfied to have them ready for a time when the murderers can be brought to trial. Ruben Martines Puente, head of the Cuban Air Force, who authorized the shootdown, brothers Lorenzo Alberto and Francisco Perez y Perez, and Emilio Palacios Morales, the MiG pilots, should be among the indicted. Armando and I were very close. Every day I miss our discussions over the rock wall, family gossip, phone calls. I am sure that if the situation were reversed my brother would never stop fighting to bring my murderers to justice. I can do no less for him. En medio de la indetenible algarabía del gobierno, pidiendo la libertad de sus cinco espías favoritos (aunque son cuatro), jamás se menciona a “los otros”. Me refiero a los demás que también espiaron y trabajaron en suelo norteamericano a favor de la dictadura, y que fueron descubiertos y condenados a largos años de prisión en Estados Unidos. El régimen jamás los menciona, parece haberlos olvidado. Como si sólo los cinco hubieran empeñado sus vidas por una dictadura sin salida, sin futuro, por más espías que tenga desperdigados por el mundo, todos financiados a costa del hambre de los cubanos de a pie. Con la captura de Ana Belén Montes llegó a diecisiete el número de espías del gobierno cubano, arrestados en Estados Unidos desde septiembre de 1998. Pero en Cuba no se menciona a la Montes. Tampoco a Walter Kendall Myers, ni a su esposa Gwendolyn. Mucho menos al profesor de la Florida International University, Carlos Álvarez, y a su esposa Elsa, todos condenados, por espiar a favor de una dictadura enemiga de Estados Unidos. Me imagino lo que sentirán estos espías abandonados a su suerte al saber que la mayoría de los cubanos de la Isla ni siquiera ha escuchado sus nombres en los medios de propaganda. Nada hace por ellos el régimen. No cuentan en esa historia tenebrosa de “Los Cinco”, gracias a los cuales se realizó el terrible acto terrorista de derribar dos aviones civiles, desarmados, y donde fueron asesinados jóvenes inocentes. Todos estos espías, tanto los cinco como los otros, que gozaban de la libertad en una democracia verdadera, tendrán suficiente tiempo para reflexionar sobre lo que han hecho con sus vidas, por una dictadura en bancarrota, moral y económica. Si no leyeron bien a José Martí, es por eso que estos espías ignoran que “cuando un pueblo emigra, los gobernantes sobran”; o que “la felicidad general de un pueblo descansa en la independencia individual de sus habitantes”; o que “es rica una nación cuando cuenta con muchos pequeños propietarios”. ¿Es que estos espías pueden considerarse talentos serviles, “un espectáculo en verdad odioso”, como dijo nuestro Apóstol? ¿Es que, al no poder descubrir que “la tiranía es la misma en sus varias formas, aunque se vista algunas de ellas de nombres hermosos y de hechos grandes”, se convirtieron en espías del Diablo? ¿Es que creyeron que filmaban románticamente para la historia, que el espionaje que hacían no estaba relacionado con el fraude, el engaño, con la deslealtad al país donde viven, y sobre todo, contra un pueblo hambriento que sufre un atraso de cincuenta años, reprimido, manipulado por un gobierno perverso e ineficaz? Nadie se apena hoy porque vivan entre rejas el resto de sus vidas. Ni siquiera quienes los indujeron.